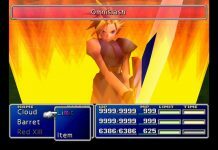 I feel like we say a game is “better than ever on Switch” quite often, but in the case of Final Fantasy VII, that’s unequivocally true. Originally released all the way back in 1997, Final Fantasy VII is obviously rather aged. 22 years is a hell of a long time in videogame development terms; things have moved on a long way. And yet, Final Fantasy VII is revered as one of the best games in the series, still to this day. It’s not much of a looker anymore. 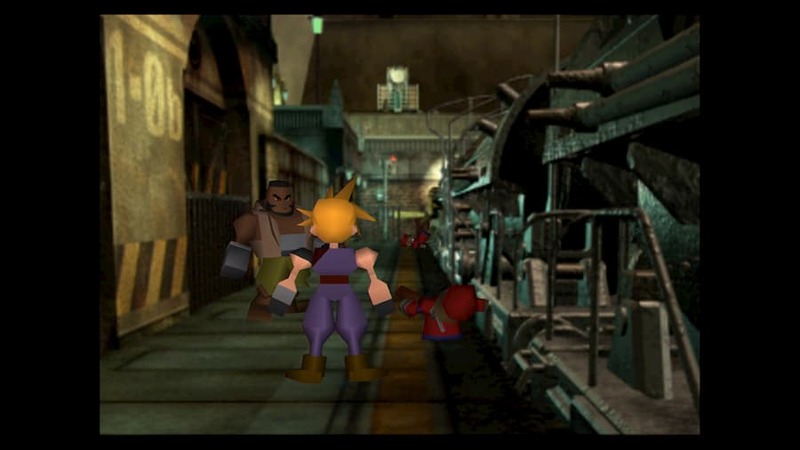 Final Fantasy VII‘s backgrounds are low resolution and blurry, but still have a certain quality to them. There’s still no mistaking how well designed they are. And the characters – with their blocky bodies and huge hoof-like hands – may be laughable compared to modern-day character models, but there’s an undeniable charm. Thankfully, this latest re-release has sharpened up the character models, making them stand out brilliantly against the game’s backdrops. 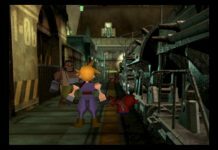 In handheld mode on Switch, with its small screen, Final Fantasy VII still looks fantastic. Annoyingly, the game’s resolution doesn’t quite fill the Switch’s widescreen, so there are black bars at either side. It’s a minor niggle, but it’s frustrating that the game gives no manual option to stretch the image to fill the display. 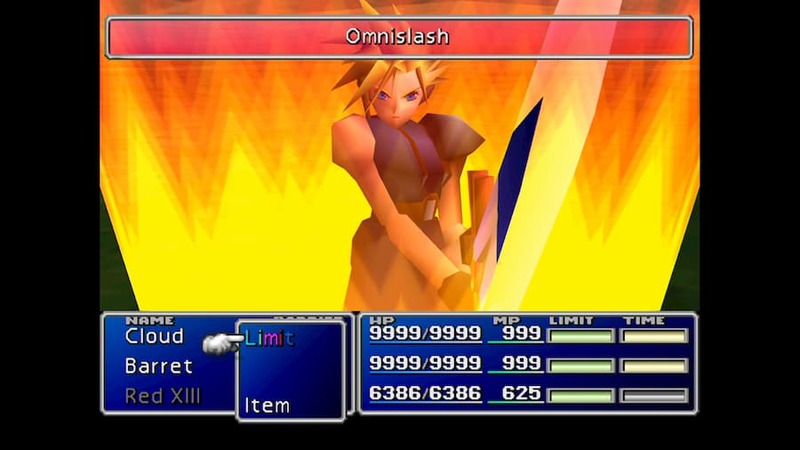 But still, it doesn’t really matter: this is Final Fantasy VII. A game we’ve been playing for 22 years on various formats. 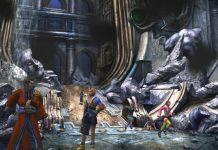 And yet, no matter how many times we’ve fought Sephiroth, fell in love with Aerith or gambled at the Golden Saucer, we keep going back. 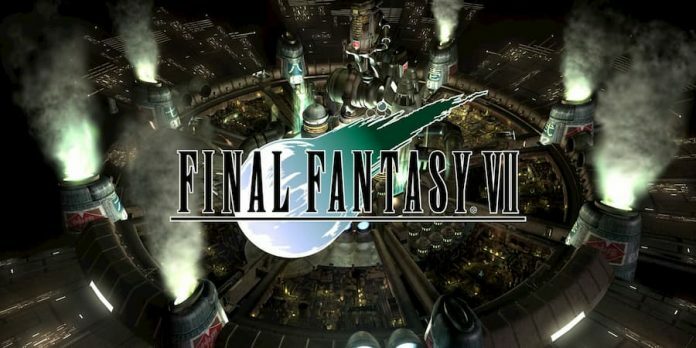 No matter how many JRPGs have been released in the years since Final Fantasy VII, for me at least, very few have ever come close. It balances adventure, story and combat better than most; you never feel like you’re overhwhelmed with exposition, but you still get to know and care for its characters. And you never feel like you’re simply fighting enemy after enemy; combat is spaced out and varied enough that it always feels worthwhile and engaging. Even after 22 years, that hasn’t changed. The Switch version of the game adds in some bonus features – built-in “cheats”, if you will – designed to make the experience more pleasant for veterans returning to the game on a new format. You can speed the game up to 3x, supercharging everything from combat timers to Cloud’s movement speed. Enemy encounters can also be disabled, allowing you to focus on progressing through the story without interruption. And there’s also the option to max out your stats, so you can enjoy the battles, but become all-powerful. 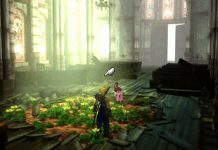 Yes, they’re all a bit cheap – but for players who have already enjoyed the game several times before, it’s a fun way to revisit. The handheld format of the Nintendo Switch makes it the perfect place to enjoy Final Fantasy VII. Whether you want to settle in for a mammoth hours-long session or simply dip in and out for short bursts, it’s there for you. And for £12.79/$15.99, it’s a no-brainer to add to your collection. If you’re yet to experience one of the best games in the Final Fantasy franchise, make sure you pick it up on Switch. And if you’ve played it before, indulge yourself one more time. You won’t regret it.